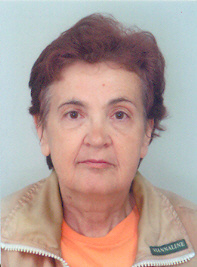 In 1971 Dimitrina Lesnevska graduated from Sofia University St. Kliment Ohridski with a degree in Russian Philology and the second degree Bulgarian Philology. D. Lesnevska completed postgraduate studies at St. Petersburg University (1973 – 1977) led by professor Victor Victorobich Kolesov. In 1977 she defended her Candidates’ Thesis on the theme: “Morphonological description of the Novgorod manuscripts of the late fourteenth century” (St. Petersburg University, Russia). (Bibliography of works on ancient Russian literature of 1977 (№ 1796)). In 1993 D. Lesnevska received the second higher education at Sofia University St. Kliment Ohridski with a degree in Primary school Pedagogy. She defended her Thesis on the theme: “The place and role of learning the Bulgarian language in Primary education in the period 1878-1913”. In 2002 D.Lesnevska was elected to the position of Associate professor at the University of National and World Economy, Sofia. Teaching experience in higher education institution is more than 30 years. Dimitrina Lesnevska is Editor-in-Chief of International Scientific Journal “Russian Studies without borders”. She is also Deputy Editor-in-Chief of Journal “Russian Studies in Bulgaria”. She is author of more than 170 scientific publications in Russian and Bulgarian languages (monographs, textbooks, dictionaries, studios, articles, etc.). Dimitrina Lesnevska’s areas of interest are the actual problems of scientific-technical translation, comparative linguistic and stylistic analysis, functional and communicative stylistics, linguistic pragmatics, discourse analysis, ecolinguistics, linguodidactics, dialogue of cultures in teaching Russian as a foreign language in the non-Slavic environment, linguistic Russian and Bulgarian studies in the cultural and historical paradigm. – International Sociolinguistic Society in Sofia – INSOLISO.